Back in the beginning of September, I received a shocking email from a neighbour. A little five year old girl from our community had been having severe abdominal pain one day so her parents took her in to CHEO. I’m sure no one could have prepared those loving parents for what they were about to hear. Their daughter was unexpectedly and shockingly diagnosed with stage 4 kidney cancer. Reading the email of this news, I sat at my kitchen table sobbing. Not understanding how the world could be so cruel. Imagining myself in that desperate situation. Friends close the family were struggling to find some way to help, when someone came across the website for the Sears Great Canadian Run. 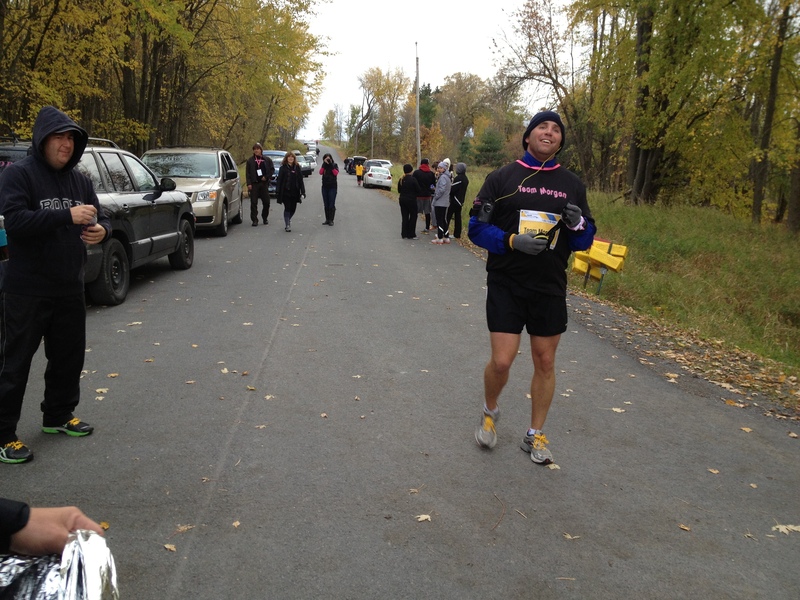 The event is a 60 or 100 km relay from Ottawa to Montebello. Teams of up to 20 do everything they can to fundraise leading up to the event, with all money going towards children’s cancer research. Not knowing the family at all, but incredibly moved by the story – having children of your own certainly makes these awful situations hit a little close to home- I was happy to sign up for the team. The big day was this past weekend… and all I can say is WOW. The event was incredible. A lot of fun and very well organized. And the most amazing part? With just 32 teams in our little city, We raised around $250,000 towards research into curing children’s cancer! Just 32 teams! Imagine what we could do with an even bigger crowd! 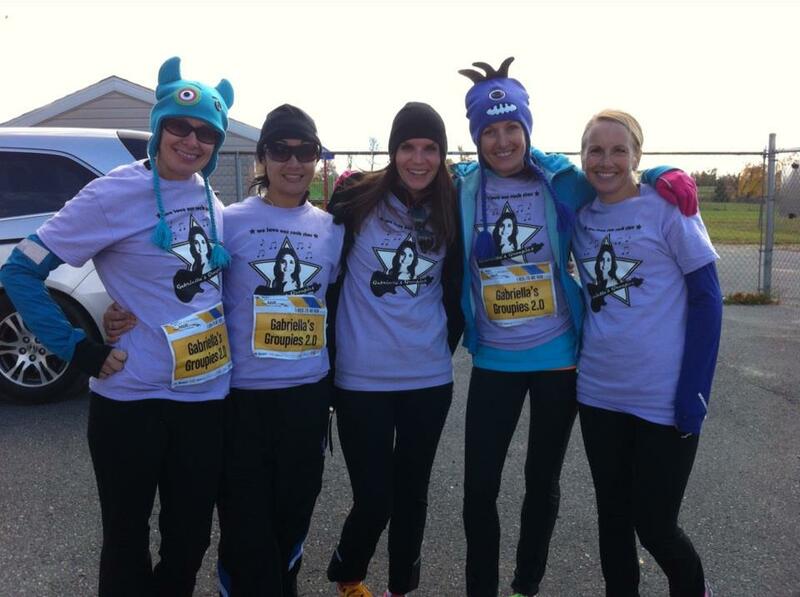 My team, named Gabriella’s Groupies in honour of our little inspiration, completed 100 kms (with 8 run by yours truly). There were some stiff joints, sore muscles, and some chilly bodies. But mostly? Mostly there was a lot of fun and cheering and camraderie and support. 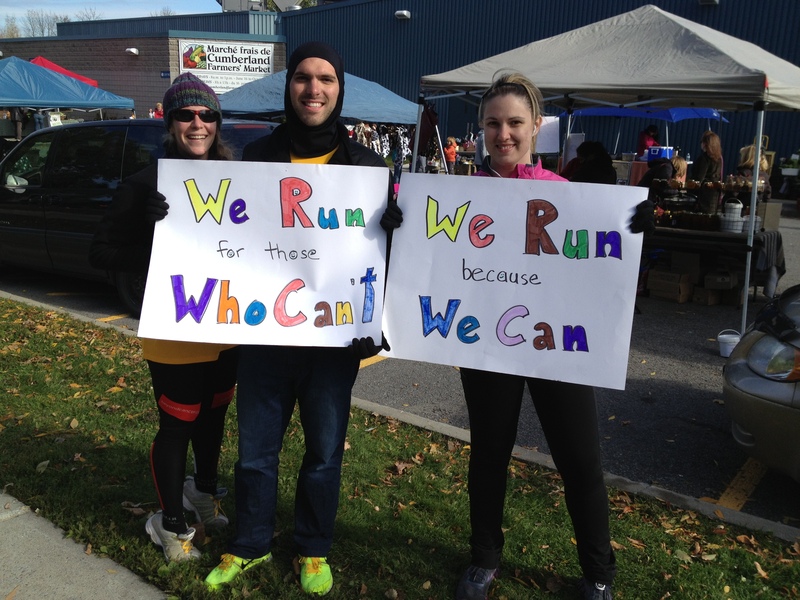 Support for our fellow runners and support for the cause. Love for those who are fighting the “C” word right now, and love for those who have tragically lost their battles. And you guys? There were some people RUNNING SOLO OR IN PAIRS. So yeah, do the math – that’s 50 or 1oo kms EACH! Talk about inspirational! One of the 50km runners coming into an exchange point. There was an awards ceremony at the end of the long day and I think it was said best by one of of the speakers. Sure, the runners may have been uncomfortable at times, pushing themselves through the kilometres. But compared to a young child dealing with cancer every. single. day…. well, a few kilometres is nothing. Next year, I hope to see YOU out there too!